In 2012 Irplast SpA designed the new MICRON 19TM label thanks to patented Lisim ® technology. The thickness of the new film is less than the previous version - still on the market - (approximately 46% less weight for 1m² of label) and in respect to market standards. The MICRON 19TM label is used in the beverage, food and detergents sector. Eredi Caimi works according to a Quality Management System in compliance with UNI EN ISO 9001:2008 standards. 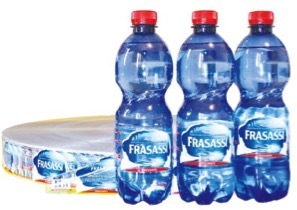 Analyses have demonstrated improvement in the indicators under consideration after reducing the thickness of the label. The results show that the reduction in environmental impacts is directly proportional to the material saved.